To the Priests of Rathma, death is a natural part of life. They do not seek to delay its inevitable arrival. Instead, they face it without fear. Their sole aim is to preserve the Balance between the forces of light and darkness, for humanity is in the greatest peril when imbalance reigns. Though some may insult them, calling them necromancers or heretics, the Priests of Rathma remain strong. They work in secret, practicing their death magic in order to maintain the Balance within Sanctuary. Rathma himself was a child of an angel, Inarius, and a demon, Lilith. Living among the first generation of humans, he discovered a fundamental truth: the forces of light and darkness would clash eternally, and both were a threat to the world. He passed his philosophy on to his apprentice, Kalan, who later founded the Priests of Rathma. 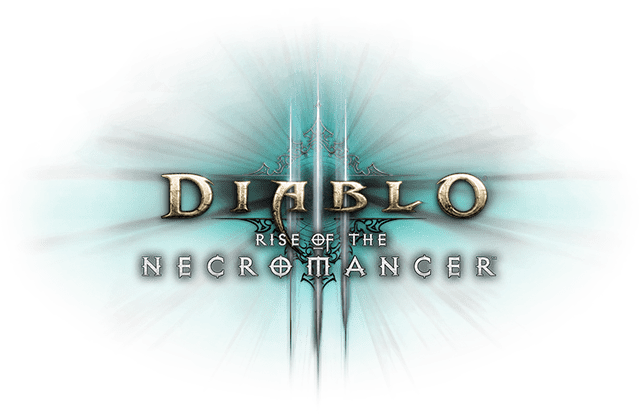 Among mortals the knowledge of reanimating and controlling the dead has long been abused; it is this reviled practice that has led outsiders to refer to the Priests of Rathma as Necromancers. They believe that such practices invite demonic influence and put Sanctuary at risk. However, Necromancers strive to use these powers only to contribute to the Balance—never to upset it. They understand that the mere presence of the Prime Evils on the mortal realm upsets the natural symmetry and as such they find it abhorrent. The denizens of the Burning Hells hope to gain the upper hand in their eternal war against the High Heavens by corrupting its people and destroying their land. It is the duty of the followers of Rathma to right the Balance by ridding the mortal realms of non-mortal intervention entirely. Members of the order learn rituals that allow them to call forth undead warriors, mages and golems. These servants fight to the end and, unlike mortals, they don’t sleep, eat or rest–invaluable tools if one is to fight the Burning Hells on equal footing. Learn afflicting spells and use them to break your enemies’ bodies and souls. A foe who can’t fight back is easily dispatched. The skeletal and golem servants you animate are yours to command. They will swarm any targets unquestioningly and annihilate them—as long as you will it. Necromancers rely on Essence to manipulate the battlefield and destroy their enemies. They must also learn to use their own blood to power their spells, as some of your most potent invocations require more than just Essence to reach their full potential. Essence is what gives beings life. By manipulating it, necromancers have control over who lives and who dies. Essence can be harnessed to command and animate skeletal minions, or channeled to form constructs of blood and bone. In time, a necromancer will be able to use it to resurrect and control the dead. Use Essence to fuel spells; with some effort, it can be obtained from sources mortal, demonic, or angelic. To secure Essence, extract it from enemies by rending their soul with ghostly scythes, or by siphoning it directly from their blood. It will be available until you need it, for Essence is enduring—it does not fade away with time. This useful construct consists of assorted body parts reanimated as a large creature who pulverizes your adversaries. In times of need, you can command the golem to destroy itself, giving you shapeless flesh to work with. Runic variations can enhance the construct further, allowing it to freeze enemies in place or restore your vigor. Invoking this spell causes skeletal warriors to rise from the ground. It is the simplest form of reanimation, but these minions will unquestioningly obey your every command. Every corpse created by a violent death carries with it the anguish of its final moments. With this spell, you will be able to focus those energies into a single unbridled force–then expel it from the carcass in a dramatic explosion. This curse renders your enemies frail and sluggish. Not even the undead are safe from its effects, and it is most efficient at creating tactical advantages for you, your allies and those under your command. Experienced Priests of Rathman can learn how to shed their own flesh and reform it at a different location. While taxing to your body, this is an invaluable tool on the battlefield. The Priests of Rathma collect implements of power from a variety of sources dating back to the origination of their order. Most notable are their phylacteries, unusual objects that enhance one's power over the dead, and their deadly scythes. This phylactery empowers skeletons under your command, gradually increasing their effectiveness as the battle rages on. This lightweight scythe unleashes destructive potential—at the cost of some protection. The wielder of Nayr's Black Death enjoys superior power when facing blighted enemies. A weapon of mysterious origins that seems to cut more deeply when you're cutting it a little close in battle. Newly anointed Priests of Rathma wear primarily dark cloth and little armor, preferring to rely on their skill in magic for protection. More experienced necromancers know they will face fiercer foes than ever before, and they arm themselves accordingly. Elite Priests of Rathma are striking figures indeed. They enjoy superior defense from calcified bone armor, and have the strength to wear it without sacrificing their flexibility and speed. Become a Priest of Rathma and unleash terrifying blood and bone powers. Command the dead against the enemies of Sanctuary! Take the Half-formed Golem with you on your adventures through Sanctuary, and instill fear in your enemies. Call forth Essence-infused wings and display your mastery over the Great Cycle of Being. Get a tailor-made look for your Necromancer with these uniquely themed cosmetic items. Create new Necromancers without giving up any of your battle-hardened heroes and get even more space for your ever-growing arsenal! A dark hero has returned to the mortal realms. Join us for the Week of the Necromancer, as seven Deviant Artists capture the deathly essence of Diablo III’s newest Hero Class.